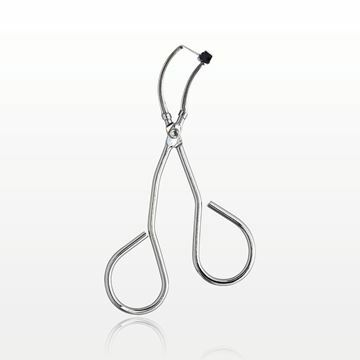 Curl and lengthen lashes with this stainless steel individual eyelash curler. The smaller head allows you to curl a few lashes at a time or focus just on the lash ends. The finger loops provide a comfortable grip while the inner pad helps position and hold the lashes. 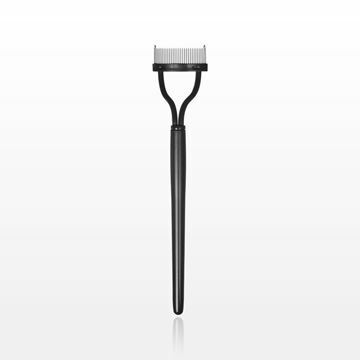 To create the perfect curl, position the eyelash curler with your lashes resting on the pad. Apply a small amount of pressure by pressing the metal tip down against the pad. Follow with your favorite mascara. 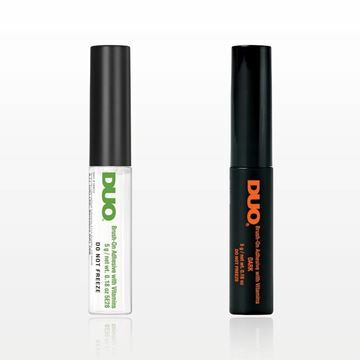 Speed up lash extension application by using these handy disposable single well eyelash glue rings. 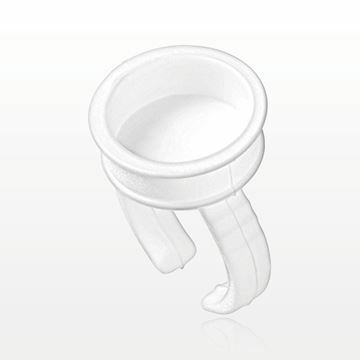 The ring is flexible and open ended to fit most finger sizes. Conveniently packed 25 pieces per bag. 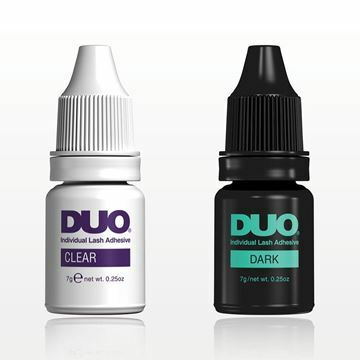 Speed up lash extension application by using these handy disposable eyelash glue rings. The double well helps you multi-task so you can hold more than one adhesive or glue remover at a time. 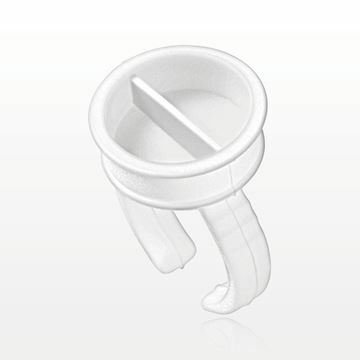 The ring is flexible and open ended to fit most finger sizes. Conveniently packed 25 pieces per bag. 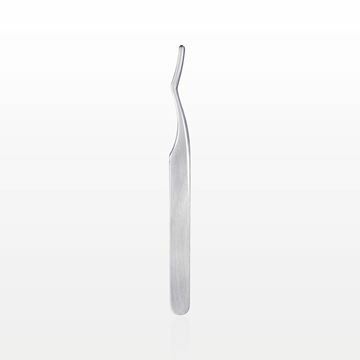 Perfect for lash artists, this stainless steel curved fine tip tweezer allows you to precisely isolate and separate natural lashes. The fine tip is also designed to help apply lash extensions closer to the base. 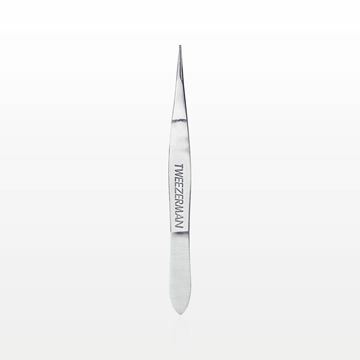 For convenience, this tweezer has a protective cover for the tips. 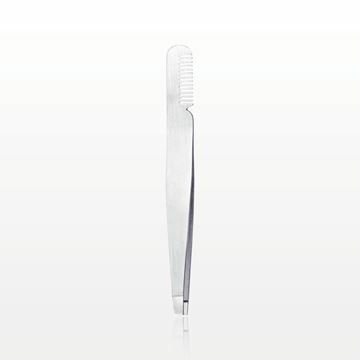 Famous for its precision, Tweezerman's Professional Point Tweezer features perfectly aligned hand-finished, ultra-sharp pointed tips that grab the smallest and finest hairs with ease. Great for brows, ingrown hairs and splinters. 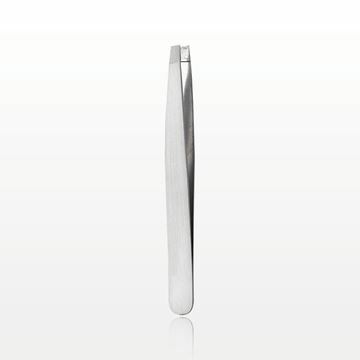 These stainless steel Tweezerman Tweezerettes with no-slip grip handle are the perfect size for makeup bags and travel. 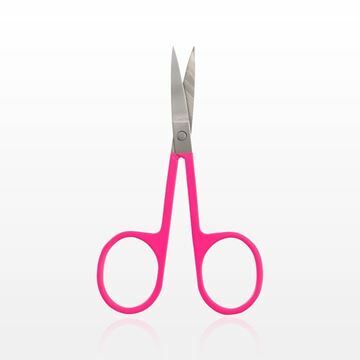 The hand-finished, pointed tips grab the smallest and finest hairs with ease. 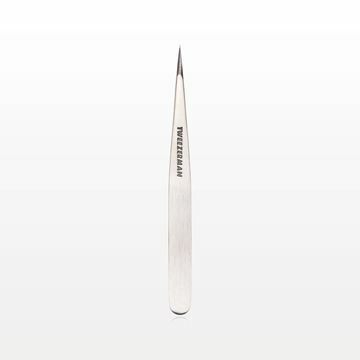 Great for precision tweezing, ingrown hairs and splinters. 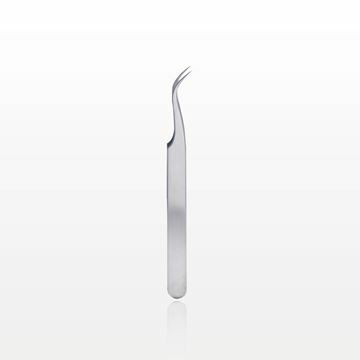 Famous for its precision, Tweezerman's Professional Slant Tweezer is consistently acclaimed as setting the standard for quality and excellence. The hand-finished tips are perfectly aligned to grab the hair every time. For more than 30 years, the award winning Slant has been the choice of make-up artists, models, celebrities and those who demand the very best. 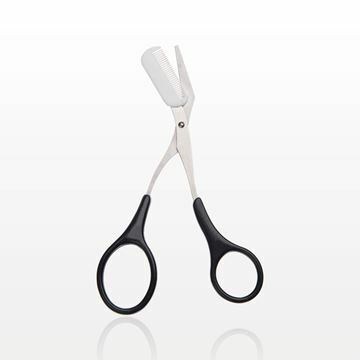 With the best eyelash curlers at their disposal, beauty professionals can perfectly curl and lengthen lashes. 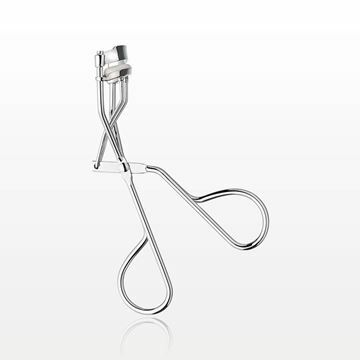 An eyelash curler of durable stainless steel prepares lashes for optimal mascara application. Our top quality eyelash tools are designed with finger loops for the comfort of makeup artists or estheticians. 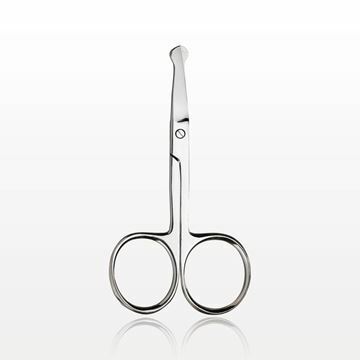 The inner pad of the tool holds the lashes in their proper position before minimal pressure creates the curl. Qosmedix can customize your eyelash accessories with your business logo. For the application of individual or strip false lashes, choose from a false eyelash applicator in an arched, curved or pointed design. 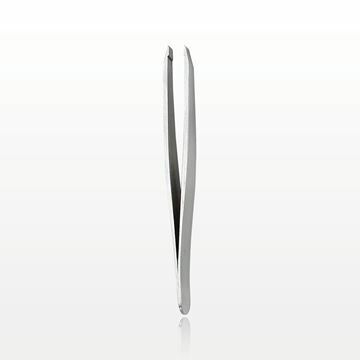 A stainless steel lash applicator supports hygienic, precision placement of false eyelashes. The tool is used to pick up lashes before glue is applied, and then to place the lashes at the lash line with precision. 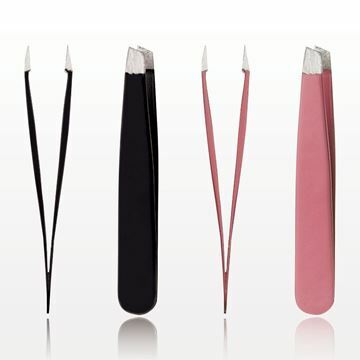 The versatile curved or pointed applicators also offer nail art functionality. 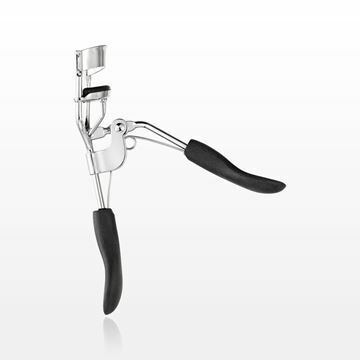 We specialize in reliable makeup artist and esthetician tools, including eyelash curlers and blemish extractors. 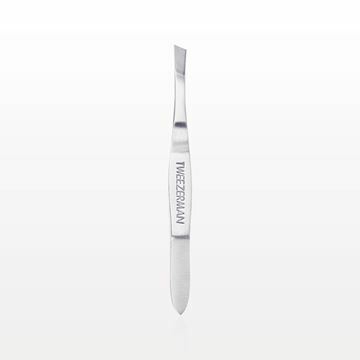 Achieve precise eyebrow tweezing or brow pencil application by using a brow trimmer and brow stencil kit together. Our eyebrow stencil kit contains stencils of different shapes and arch heights. The stencil is placed on the brow bone to serve as a shaping guide. A convenient brow kit can be customized with a business logo. It also makes a great retail option. 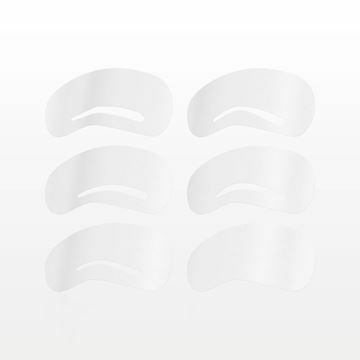 Like the eyebrow kit, we carry Shadow Shields™, which help protect skin from eye shadow fallout. A favorite with makeup artists, these disposable shields can also create a straight edge for shadow, a winged cat eye, and flawless lipstick application. We invite you to take a look at the best eye shadow and eyebrow accessories from Qosmedix today.